There are two outer vectorial forces and an inner median (line) vectorial force. Each of these three force vectors have their specific direction and magnitude; a slight controlled disequilibrium will transport the stone blocks, in the desired direction. An ingenuous lesser degree friction device. The ingenuity of the Egyptians seems to have discovered the Action / Reaction principle, well ahead of Europeans. Let us try to explain the three steps of this mechanism: - action phase: the four workers create a dominant vectorial force, shifted to the right under the strict guidance of the foreman, who plays here the role of the Center Line. - equilibrium phase: the fifth worker inserts the inclined wooden board under the granite block, and the foreman dictates the shift of the direction of force vectors. - reaction phase: once the foreman gave the signal to the workers, they will bring the granite block in the opposite location compared with that of the action phase. If we intend to plot the oscillatory movements of the granite slab during the Action / Equilibrium / Reaction phases, it will be a sinusoidal curve, travelling from one extremity to another, briefly going through the Center Line. Once the global context defined, the Egyptians organized locally their pyramid building task in synergy with their indigene tools, which fully applied the Action / Reaction principle. Again the three vectorial forces are searching for an equilibrium whose dynamics will help translate several tons of granite slabs toward the top of the pyramid. An Ultimate Confirmation of job well done. "Truth is ever to be found in simplicity, and not in the multiplicity and confusion of things". He synthesized the works of Descartes, Kepler, Copernicus and Galileo, writing several books. His genius marked not only the 17th century but also the future of mankind. In his works, he mentioned, “Geometry is founded in mechanical practice, and is nothing but a part of the universal mechanics … the description of right lines and circles, upon which geometry is founded, belongs to mechanics. Geometry doesn’t teach us (how) to draw these lines, but requires them to be drawn”. He mainly considered the topics related to gravity, elastic force, levity, the resistance of fluids and the like attractive or impulsive forces. 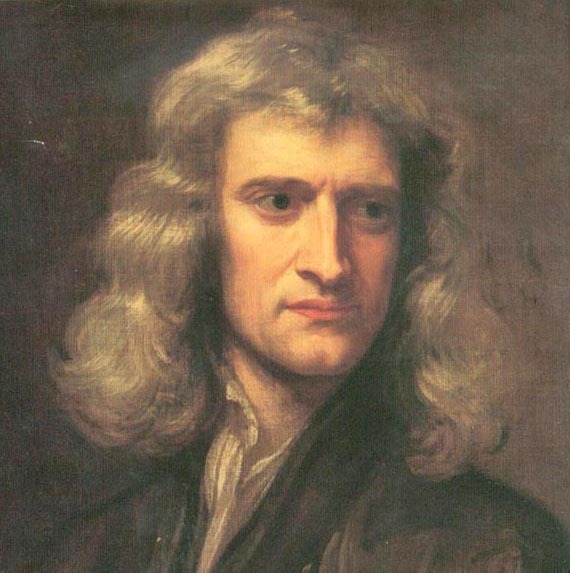 When he was in his late twenties, he got interested, in what he called at that time “the normal line” principle, based on Newton’s Action and Reaction Principle of his Third Law. All his life was marked by his emphasized beliefs in the power of this law, applied to financial market. And he was right … he made a fortune of more than 50 million dollars. As a forecaster, he was one of the best. The “Babson charts” were successfully used to forecast the October 1929 stock market crash, well ahead of the event, in a New York magazine. Roger W. Babson, truly enjoyed sharing his knowledge and his money with his pairs: he did promote technical analysis giving seminars; wrote more than 45 books; founded Babson College and he also founded the Gravity Research Foundation at the age of 73. His charismatic character helped him to reach the very noble and enviable age of 93 years. He truly believed in common sense, self-control, imagination and integrity, which as we know, are the qualities of every consistent trader. Being very passionate about technical analysis, the late Dr Alan H. Andrews attended Roger W. Babson seminar, based on the Action and Reaction Newtonian Principle. In the early 1960s, he organized all the essence of this concept in a 60 pages length course and sold it for $1500. Needless to say that this amount was kind of stiff, for those days, representing a couple of months salary of a professional worker. He named it the “Action-Reaction Course” in acknowledgement of the contribution of Roger W. Babson, to his learning curve. His work described as the “Median Line Method” - drawn median lines on the charts, having a fork resemblance - became known in most of the charting programs, as Andrews Pitchforks.